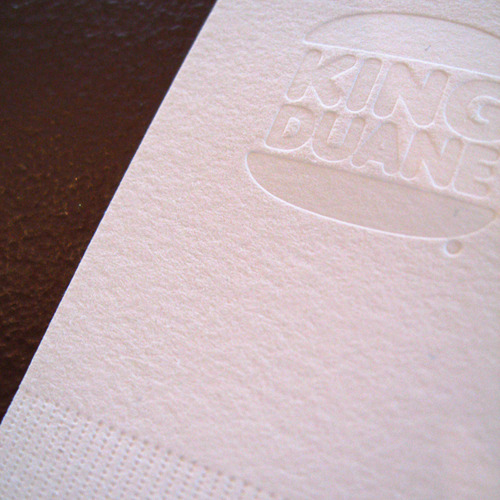 Fresh new fast food napkin inspired letterpress business cards from The Mandate Press for Duane King of BBDK. 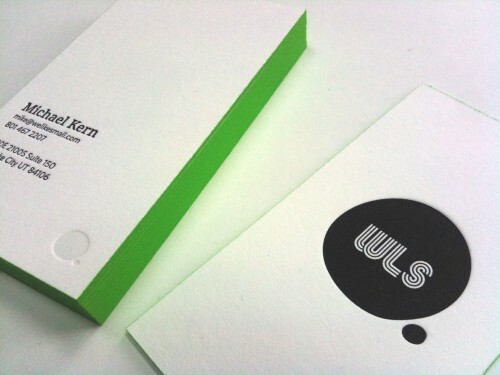 Another letterpress business card from Studio On Fire in one week. 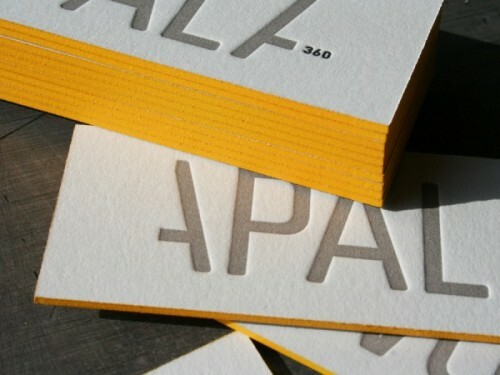 This card for Apala, was designed by Blok Design in Mexico City. Printed on 4-ply museum board with bright yellow edge coloring. Very clean and tasty. Nice work. 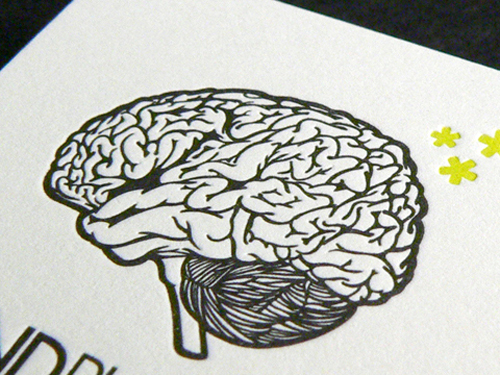 Some fresh Studio On Fire letterpress business cards and note cards printed on blotter. 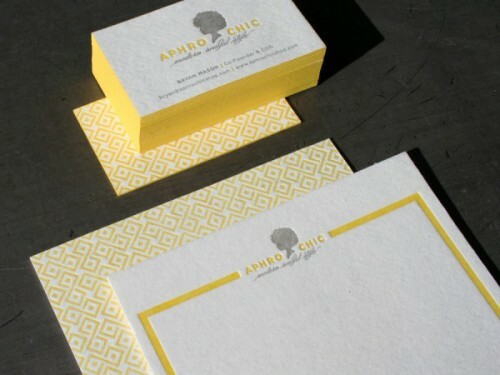 Designed by Passing Notes for their client Aphro Chic. Studio On Fire continues to create completely inspiring work. 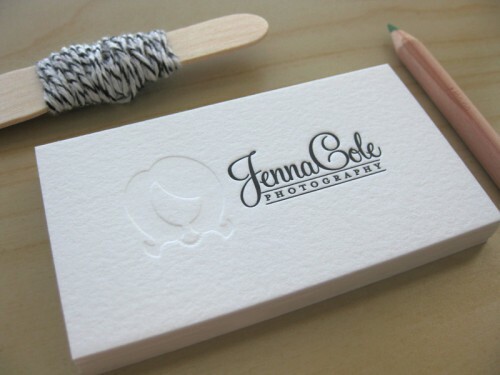 Simple yet elegant letterpress business cards from Duet Letterpress for Jenna Cole Photography. 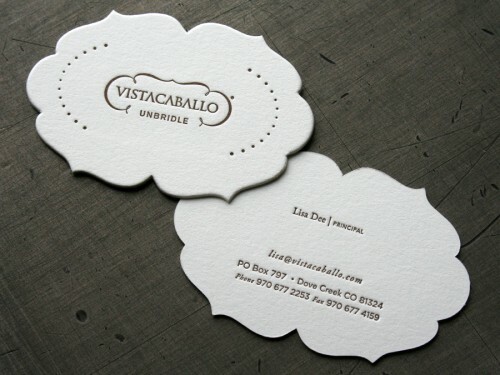 The lettra looks extra creamy and the typography is beautiful. 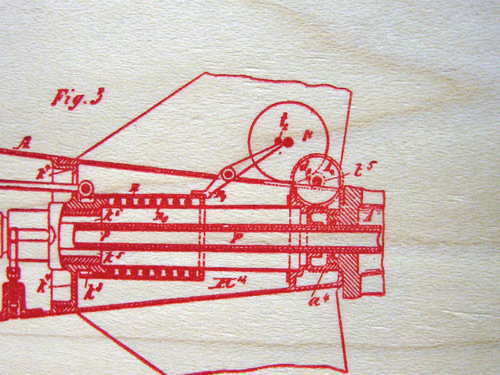 A great sample of a letterpress business card printed on wood stock by Publicide out of NYC. 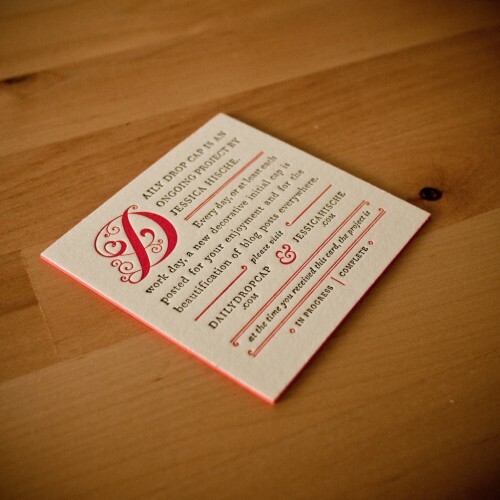 Some delicious letterpress business cards by The Mandate Press in Salt Lake City. Designed by Ron Roark at Mindpunch. Two color print on Neenah Neutech 160lbs paper. New business cards from the edge coloring slayers, Studio On Fire. 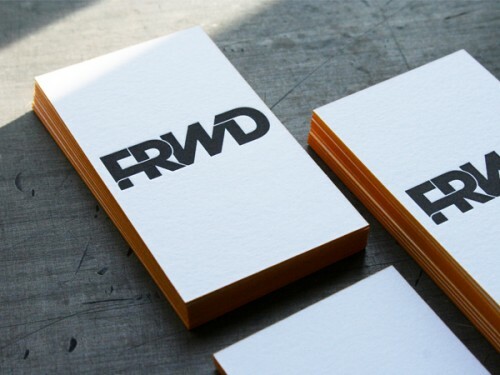 Printed for the new media agency FRWD in Minneapolis. Tasty work again by the crew at S.O.F.